The building amenities are new and Unur was extremely helpful on our arru al. He helped us find a suitable parking for our car and gave us proper advice about places to eat and visit. The location was perfect for historic mosques..Highly recommended ! 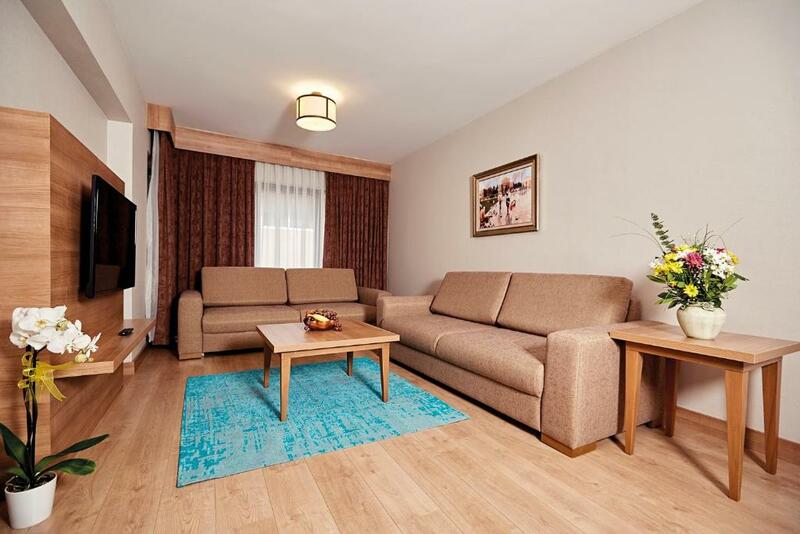 The stuff are excellent and the rooms where clean and the location is superb. Staff are very friendly and helpful. Apartment is very clean. Close to several shops and restaurants. Definitely recommended. The apartments are new and very clean. The location in the centre of Bursa surrounded by many restaurants. The service was great, staff very very helpful, i would like to thank Receptionist Mr Bayram, he was realy nice with a big smile. He assisted me making an important international phone call free of charge, he helped me in booking the ferry to Istanbul. He cannot be any better. They change my apartment ( 2 bed toom) which was a bit noisy, to one bed room apartmeht and one studio, free of charge. I will definatelty come back. The staff were friendly and very helpful, the rooms were clean, the beds were comfortable and it has all the facilities that you expect. And if anything missing the staff never hesitate to help. 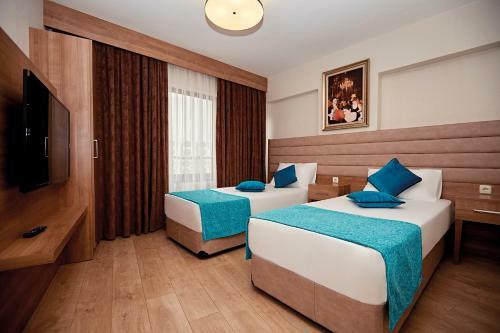 Lock in a great price for Bursa Suites Apart Otel – rated 9.2 by recent guests! One of our top picks in Bursa – and a guest favorite. 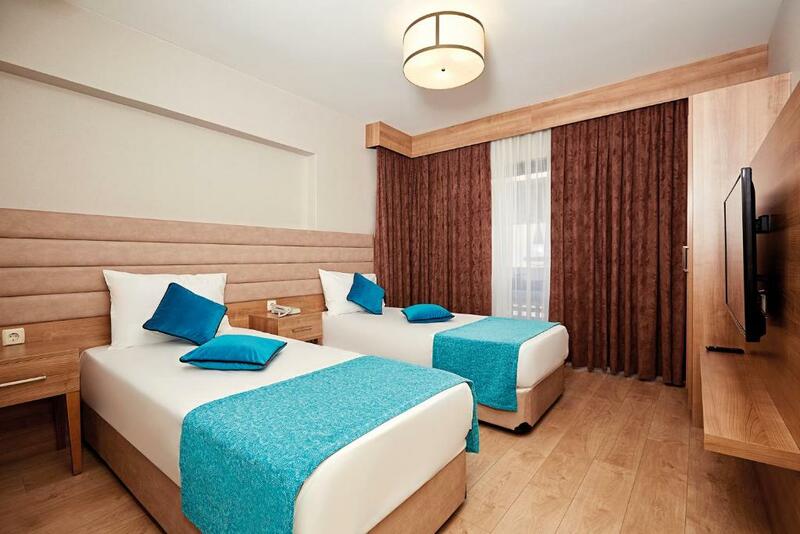 Located within 1.8 miles of Bursa City Square Shopping Center and a 14-minute walk of Green Mosque in Bursa, Bursa Suites Apart Otel provides accommodations with seating area and a kitchen. Complimentary WiFi is provided. Every unit has a private bathroom and shower, air conditioning, a flat-screen TV and a fridge. Popular points of interest near the condo hotel include Green Tomb, Museum of Turkish and Islamic Arts and Yildirim Bayezit Mosque. The nearest airport is Bursa Yenisehir Airport, 38 miles from the property. 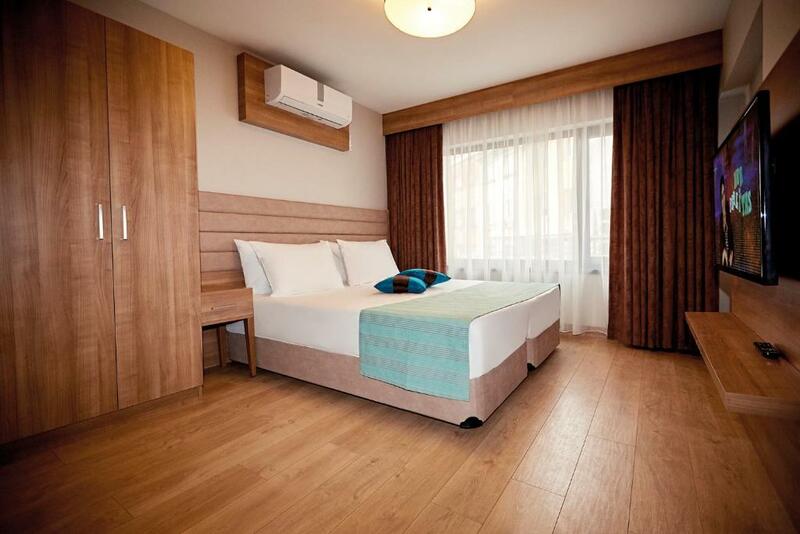 This is our guests' favorite part of Bursa, according to independent reviews. This property also has one of the top-rated locations in Bursa! Guests are happier about it compared to other properties in the area. This property is also rated for the best value in Bursa! Guests are getting more for their money when compared to other properties in this city. 뀐 Located in the top-rated area in Bursa, this property has an excellent location score of 9.2! When would you like to stay at Bursa Suites Apart Otel? This apartment features a seating area, bathrobe and kitchen. Public parking is available at a location nearby (reservation is needed) and costs EUR 3 per day. This apartment features a tea/coffee maker, air conditioning and bathrobe. This studio features air conditioning, electric kettle and sofa. Tesisimiz şehrin tam merkezinde ve tarihi,turistik bölgelere yürüme mesafesindedir.24 saat toplu taşıma ile ulaşım imkanı vardır.Konuklarımızın değerlendirmelerindede belirttiği gibi konumu itibarıyla tercih sebebidir.Merkezi bir konumda ve bir o kadarda şehrin gürültüsünden uzak ve huzurlu bir mekandır.Ayrıca çevresinde şehrin bütün geleneksel lezzetlerini tadabileceğiniz mekanlar bulunmaktadır.Tesisimiz çiftlerin konaklamalarında evlilik cüzdanı beyanı istemektedir. Tesisimizin bulunduğu mevki tarihi çarşının içerisindedir. House Rules Bursa Suites Apart Otel takes special requests – add in the next step! 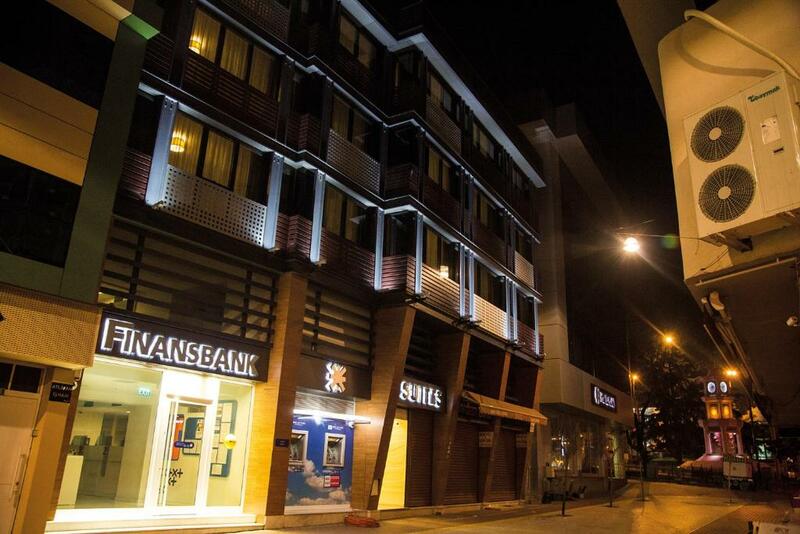 Bursa Suites Apart Otel accepts these cards and reserves the right to temporarily hold an amount prior to arrival. Please note that Bursa Suites Apart Otel does not accept bookings from non-married couples. All couples must present a valid marriage certificate upon check-in. One of the most picturesque neighborhoods in Bursa! The location. Very clean. Close to resturants and transport. Apartment is very clean and located in the town center. Little bit difficult to find the hotel. Need to get hotel staff to pick up you if you drive a car. Water hose for sitting toilet does not connect to hot water. Very unpleasant during winter. The location is near to many shops, restaurants and places of interest. The hotel is new and very clean. Staff very helpful and kind. One staff name Bairah is very helpful on many things. Also Near to Mosque (less than 50m). Easy to pray Jemaah. Well appointed room and bedroom. Good central location close to mosques and historic sights. Friendly and helpful staff. Location, staff very helpfull, cleaned and room is big for my family. Location Mohammad was excellent and very courteous.